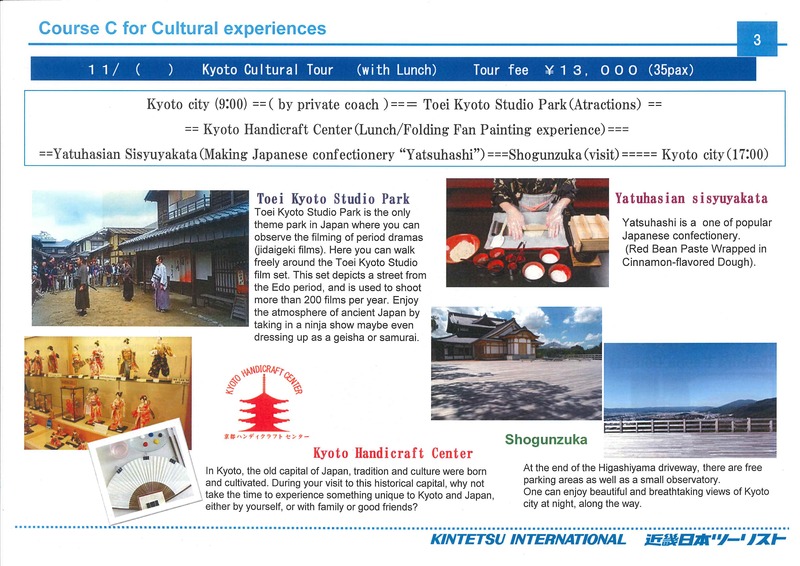 One day cultural city tours in Kyoto will be prepared by KNT-CT Holdings. 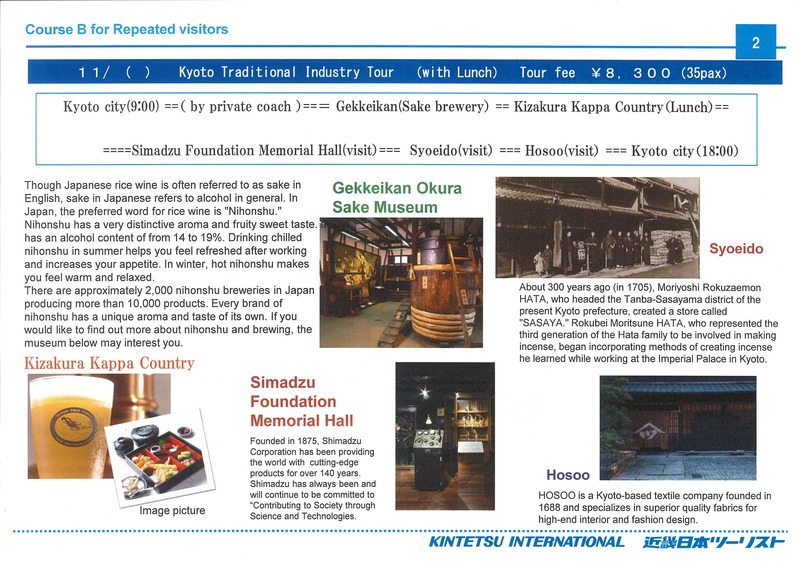 Co., Ltd.
http://www.knt.co.jp/en/top.html on 7 November (Saturday) in 2020. 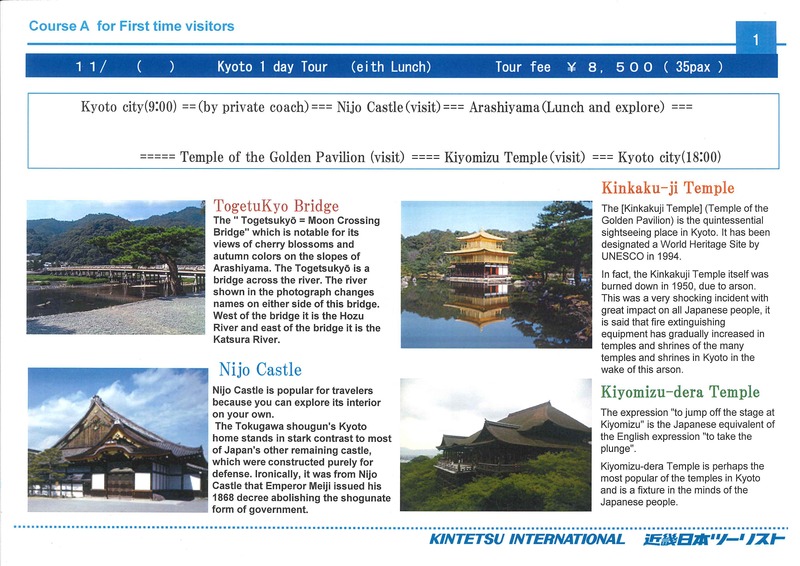 Other than A and B, spot guide information will be prepared for the repeated visitors in the secretariat. Participants can visit by themselves.